Next, I will try to explain part 3 of the AP item. This time the AP edition is the last! To be honest, it will be an explanation of items with fewer scenes to load, but please also take a look if you are still good. MRPen with a fixed value is "Sorcerer Shoes" and this "Ryan Dolly Mask" only. Although I mentioned in the previous AP item commentary, the fixed value MRPen is effective as the opponent becomes lower the MR. Furthermore, "Ryan Dory's mask" has magic damage proportion of opponent's physical strength, so if you do not have MR, you can easily kill. In ordinary situations, it does not enter the choice first. 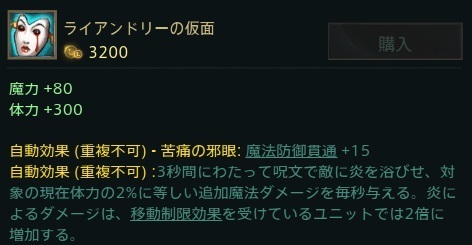 DoT (damage over time), compatibility with continued damage is good so it will be adopted by champions who have them. Especially, it is a brand. He has a passive that gives 2% magical damage to the target's maximum physical strength for 4 seconds when hitting a skill, and the effect of 'Ryan Dolly Mask' will continue for +2 seconds all the while. In addition, when "Reilai Crystal Scepter" is loaded, the effect gets twice as much as 5 seconds because it draws a slaw and 24% can be scraped off. It looks so strong! Actually, since there is MR calculation from here, damage is reduced but it is strong enough. In addition, Velcoz, Xila and others with excellent damage continuing enter the choice. It is a useful item that Blink can be active. The price is cheap, and it is also easy to purchase. The value of this item changes greatly depending on whether Active can be used effectively or not. Because the rising AP is cheap and it is unsatisfactory a little. 60 AP is "Mudei Deca Rod" for one piece. Also, although it can say that Blink is possible, it is a little weak as a way to escape because the wall can not be exceeded. Since mana does not rise, caution is necessary when loading as the first item. This Blink shines is a scene of a few battles and catch in the mid-course, so it's better to get there earlier. It is around Echo, Lissandra that adopt this item as a core build. 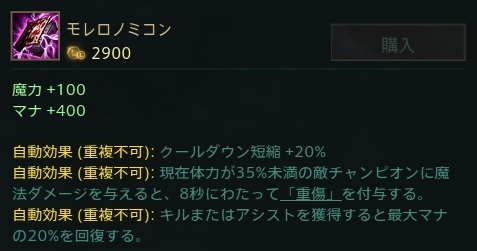 The echo has the advantage that E → Proto belt → AA → Q is very powerful, Lissandra is easy to catch from E, E can be used as damage skill. Besides, you can Snowball even if Annie sits when you win the Mid lane battle. Blink rising in 40 seconds is perfect for broadening the advantage. This is another strange item that both AD and AP rise. Because it does not give other studs, it can be said that it is a considerably aggressive item. Active has a long range and is excellent. 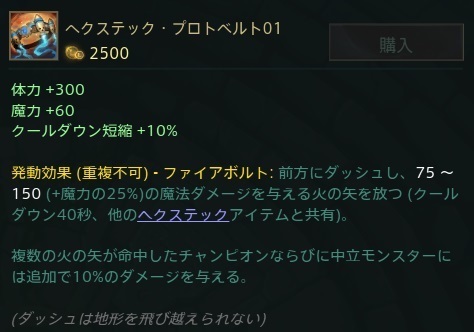 Although there is 0.3 APratio for the active effect, since the fixed damage of 250 is more powerful than the early stage, I also want to place it on the first item. 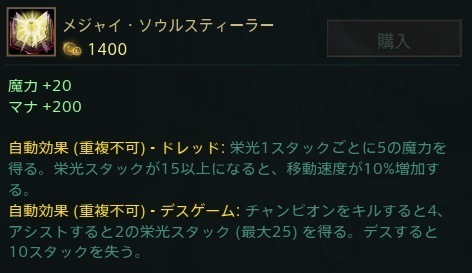 However, due to the special specification that both AD and AP go up, champions that can handle this item are limited. 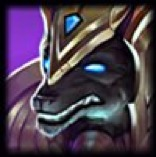 It can be said that almost nothing is seen except for these two champions, with an acary where AD increases to Passive and E, and Catalina, which increases AD to Passive · E · ULT. 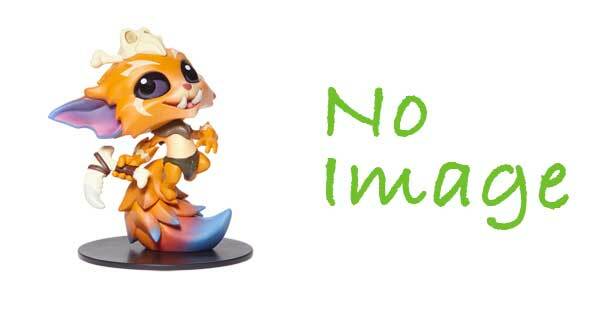 They do not have the concept of mana, and this item is a core build because the designated slots are very helpful. This time AP and AS go up. There are various items in the world. Who will use it? 20% CDR is attached to plain. This item is not a situation, it is almost always piled up as a core build. AP and AS I want both of Agile (Buff plz !! ), Kyle. Only Diana is worried whether to stack or not. If stacked, DPS, split push performance will rise and the burst will drop. Let's accumulate when your opponent's Tank is growing up, or if you have a TP and you are fed and you are likely to be able to split push. 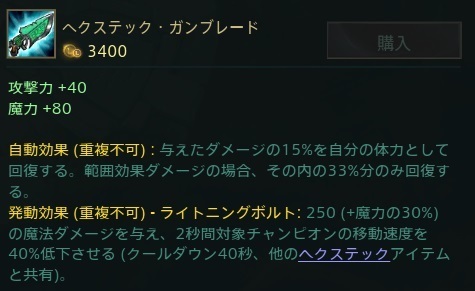 It is an OP item that can obtain a maximum of 145AP with only 1400 yen. If you take a kill or assist, you can get stronger, but the value of the item drops sharply at the moment of death. Passive's English name is "Do or Die". Please do not buy absolutely! ···Was not. When buying it requires preparation and responsibility. Perhaps there are only Lux and Zelas shooting the skill from the position where the opponent's attack does not reach. I definitely will not recommend it. It is prudent not to buy it when you do not understand it well. If everyone is 2 Tier or more lower than yourself, let 's carry this Carry. However, even if the Majay's stack is accused from friends without accumulation! Therefore, with this, "We will buy items according to the situation AP section" is over. If someone you have looked so far, I will not thank you! 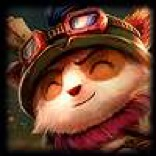 ADC edition and Tank editing · · ·? If there is a chance, I write, probably.